After getting some good feedback on the two texts I wrote about some items I am thinking of getting myself for this spring, I thought I'd start developing the series a bit more. 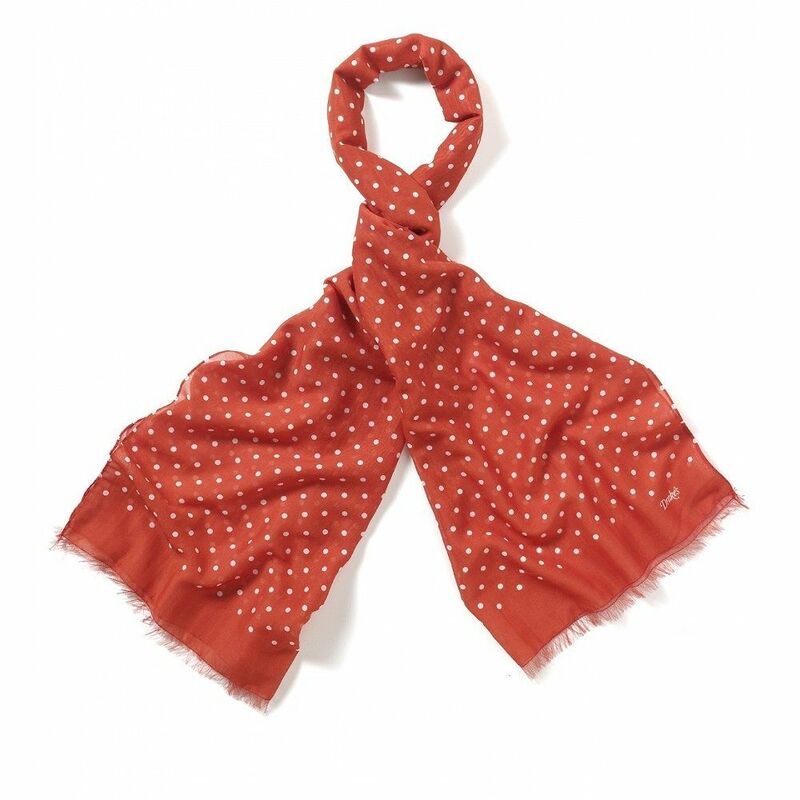 First part, an orange summer scarf. 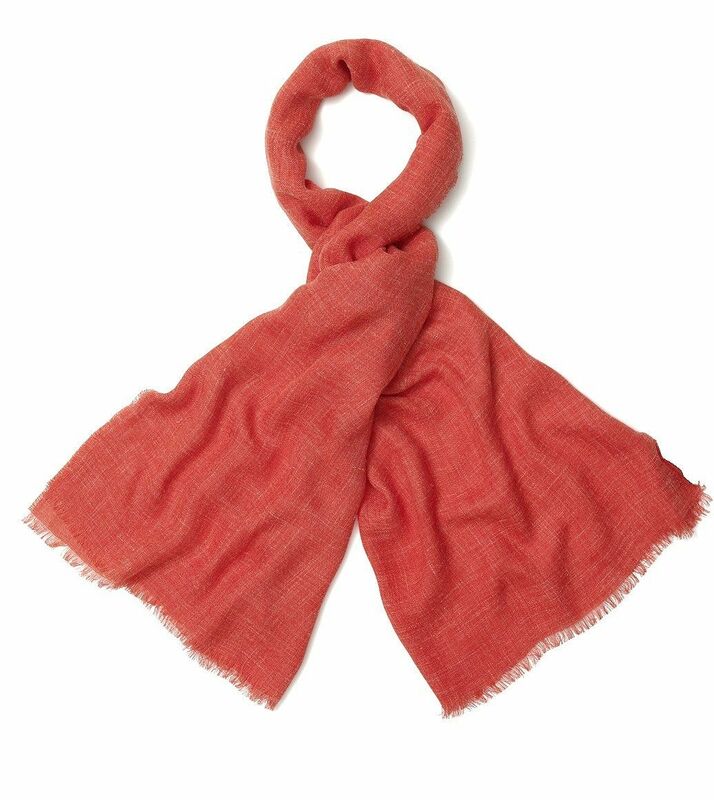 One of the things I think will look especially good in the following seasons will be an orange summer scarf. Linen, cotton, silk or a blend of the previous materials, it will add a touch of fresh color into a variety of different kind of outfits, protecting you from any chilly spring winds you might encounter. Equally good during early fall, or even summer if it gets chilly. 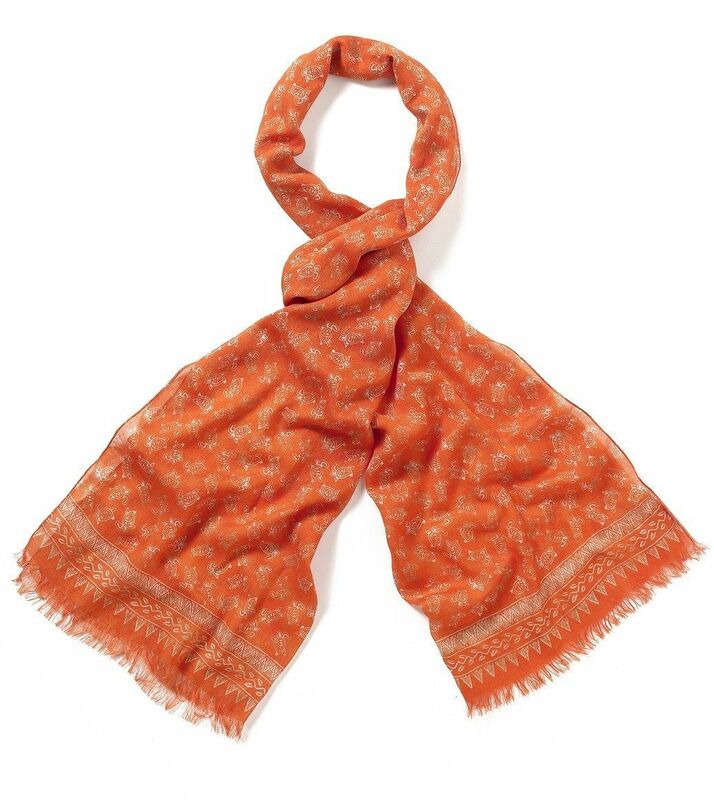 I am personally fond some faint patterns or a plain color, as the Drake's London scarves pictured in this text. The polka dot one in the first picture is perhaps my own favorite, and I must say, I'm extremely tempted to get it. But, I think I will wait what Berg & Berg will have to offer before getting it. Also, if you bought into the idea of a summer scarf but not the color, I would suggest going for a fresh light blue or olive green. Both will look equally great. And what would I wear it with? A casual unstructured navy cotton jacket comes to mind first, but I could see these working well with some restrained greens (especially olive) as well lighter blues than navy, such as my blogger blue L.B.M. 1911. If I had a nice summer weight field jacket, I would also consider wearing it with a scarf like the third one pictured here, with a plain color. More style tips and ideas in the future, so stay tuned.